For twenty five unsuccessful minutes on 26 January 1904 Theodor Herzel met with a “coarse-grained village priest” (Herzel) who just happened to be Pope Pius X. Herzel was sitting “right next to him” the Pope in an armchair, “a throne for minor occasions” commented Herzel. Theodor Herzel was sitting between St Peter’s Rock and a hard place; and he knew it. 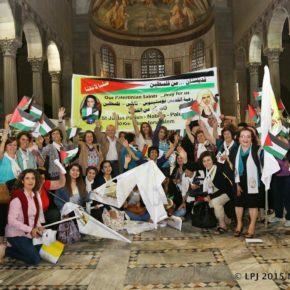 This theological appropriation by the Roman Catholic Church of Christ, Palestine and Jerusalem was in exclusion of a virtuous mercy and compassion shown toward persecuted Jews. Around 170,000 Jews were to flee Russian pogroms between 1881-1914 discouraged by Britain and USA anti-Semitism, which extended into the shadows of World War II through Pope Pius XII’s impartiality. This Vatican spiritual petit mal, “The Jews have not recognized our Lord, therefore we cannot recognize the Jewish people” (Pope Pius X), was to be exceeded by the later Zionist expropriation of Historical Palestine and spiritual grand mal, “When we have settled the land, all the Arabs will be able to do about it will be to scurry around like drugged cockroaches in a bottle.” (Raphael Eitan, IDF Chief of Staff, 1983) as demonstrated by Israel’s conscious and meticulously planned persecution of Palestinians since 1948. In his Encyclical: On Prayers For Peace In Palestine October 24, 1948, as one of the worst crimes against humanity had begun in historical Palestine, Pope Pius XIII “without abandoning the attitude of impartiality” comments “men continue to fight and to increase the distress of the unfortunate and the fear of the terrorized, while thousands of refugees, homeless and driven, wander from their fatherland in search of shelter and food.” They wander still as conscience and morality stall. The Vatican desiderata to protect the holy sites placed above moral concerns to protect the Palestinians. That truth enlightens Pope Francis. The white cassock and zucchetto made of watered silk sit well on Pope Francis, Jorge Mario Bergoglio as the 266th (and first Jesuit) Pope, with the titles ex officio Bishop of Rome, and Vatican City Sovereign, is evolving a right minded yet (for some) contentious Catholic universalism: taking in Muslims, washing their feet, chastising world leaders, meeting with Patriarch of Constantinople Bartholomeous in Jerusalem in 2014, referring to Mahmoud Abbas as President of the State of Palestine May 13, 2015 (Two-Way) and canonising on 17 May 2015 two Arab Palestinian nuns Marie Alphonsine Ghattas (Jerusalem born) and Mariam Bawardy (born in I’billin, Galilean village). 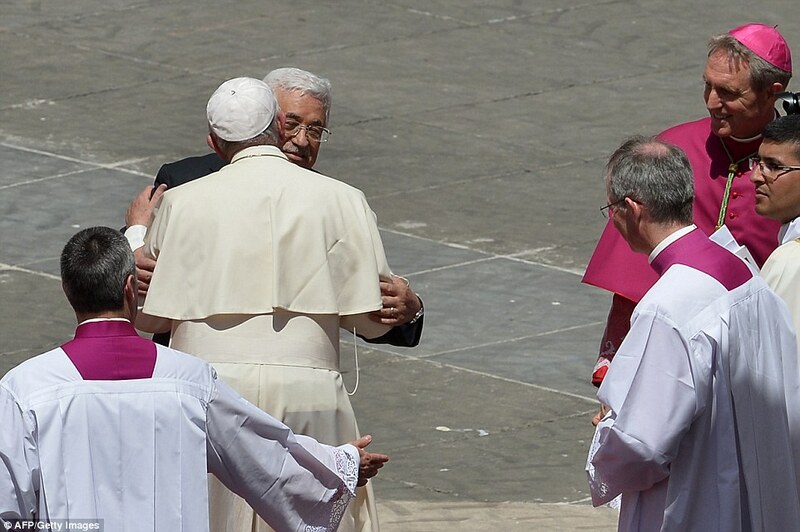 The 23 May 2016 saw Pope Francis embrace Sheik Ahmed el-Tayyib, “the grand imam of Al-Azhar, the Sunni Muslim centre of learning, five years after Sheik Ahmed el-Tayyib suspended dialogue with the Holy See.” (Catholic Herald). Clive Hambidge is Human Development Director at Facilitate Global (www.facilitateglobal.org). Contact him at clive.hambidge@facilitateglobal.org.